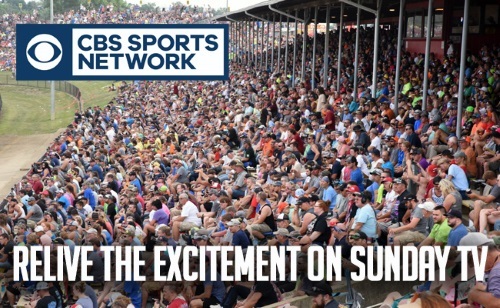 CONCORD, NC (October 1, 2018) — The World of Outlaws Craftsman Sprint Car and Late Model Series are excited to announce this year’s television partnership with the CBS Sports Network is set to commence next month, on October 21, with the airing of the 2018 Kings Royal at Eldora Speedway. The World of Outlaws and the DIRTvision production team worked with National Speed Sport News to produce eight hours of television, including shows from the Kings Royal at Eldora Speedway (OH), the Prairie Dirt Classic at Fairbury American Legion Speedway (IL) — televised to a national audience for the first time ever — and the World of Outlaws World Finals presented by Can-Am at The Dirt Track at Charlotte (NC). 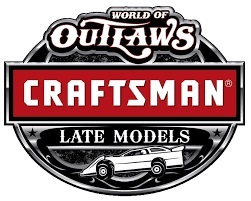 CBS Sports Network will air eight, one-hour programs covering four World of Outlaws Craftsman Sprint Car Series races and four World of Outlaws Craftsman Late Model Series races. All events will air on Sundays at 7 p.m., with the exception of the first two — the Kings Royal broadcasts — which will air at 4 p.m. and 6 p.m. on October 21 and 28 respectively. The first telecast, The Knight Before the Kings Royal, will air at 4 p.m. on Sunday, October 21. The CBS Sports air dates, listed below, will culminate in a 7 p.m. Christmas Eve World Finals show on December 23. CBS Sports Network (CBSSN), the 24-hour home of CBS Sports, televises nearly 600 live events and over 3,000 hours of live programming every year including live college football, college basketball, and more from the MW, AAC, Big East, C-USA, A-10, Army, Navy, and the Patriot League. CBSSN is also the home to Professional Bull Riding. Throughout the year, the network also telecasts a full slate of original programming and studio coverage. It is home to NFL Monday QB featuring Trent Green, Rich Gannon and Steve Beuerlein, We Need To Talk the first-ever all-female sports show, Boomer & Gio, Tiki & Tierney, Time to Schein and That Other Pregame Show which covers Pro, College, and Fantasy Football every Sunday morning. CBSSN has become the extension of CBS Sports sharing talent and graphics as well as providing support coverage of every major event that CBS produces including Super Bowl 53, SEC football, NCAA Tournament, The Masters, and PGA Championship. National Speed Sport News is often described as “The bible of Motorsports.” Since 1934, the year midget cars led the proliferation of racing in the United States, National Speed Sport News has been the authoritative voice of the sport, providing race coverage that is timely, reliable and colorful. National Speed Sport News is the only auto-racing periodical available on microfilm at the Library of Congress. SPEED SPORT’s other initiatives include www.speedsport.tv, delivering top-notch racing news and information across multiple platforms, to serve the needs of the broadest possible range of readers – from longtime, faithful supporters, to newer readers who see SPEED SPORT as their ticket to being a well-informed enthusiast.